A top producing Realtor for over 25 years, Marie ranks in the top 1% of Realtors in the U.S. After spending 13 years at RE/MAX, she came to Keller Williams in 2003, following in the footsteps of her friend and business partner Susan Murphy. Her many raving fans and constant referrals from past clients insist on Marie for her positive attitude, big vision and sense of humor. Marie and her husband have been Jazzercise instructors for over 26 years and live with four wonderful cats that they love dearly. Marie is an avid gardener, reader and still can be found surfing if the water isn't too cold. Susan Murphy has been a licensed Realtor and member of the California Association of Realtors for over 24 years.. With hundreds of real estate transactions and satisfied customers, it is no surprise that her top producing real estate team was voted the best in the South Bay by this affluent southern California community. Murphy’s success is a result of strong customer service, exceptional negotiation skills, and a large base of repeat and referral business. 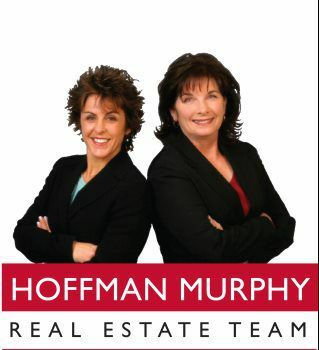 As an owner of the Hoffman Murphy Team, Murphy and her team excel in the analysis of market conditions, creating effective business strategies and meeting or exceeding each valued customers’ objectives. In addition to having a degree in psychology, Murphy is a Graduate of the Realtor’s Institute, (GRI), a Senior’s Residential Specialist(SRES), a Certified Residential Specialist ( CRS) and a member of the Women’s Council of Realtor’s. The Hoffman Murphy Team was named one of the top 250 Realtors in the Wall Street Journal’s annual recognition award.